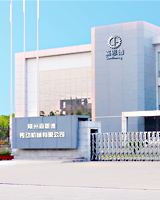 Giant was set up in 1996 and located at Changzhou, a beautiful city in CHINA. Since it was first established, Giant was dedicated in research, development and manufacture of bearings. Now, Giant has become main and one of the first grade suppliers of all kinds of bearings. Our products include: Deep Groove Ball Bearings,Self-aligning Ball Bearings, Spherical Bearings, Tapered Roller Bearings,Cylindrical Roller Bearings,Needle Roller Bearings,Self-aligning Roller Bearings,Angular Contact Ball Bearings,Thrust Ball Bearings and Trust Roller Bearings and Special Bearings.We also provide OEM beaings. Our products are exported to the USA,Canada,UK,Germany,Poland,Italy,Russia,the Middle East,Africa and other countries and regions of the world.